Samba TV, the leading provider of real-time audience driven advertising and analytics, today announced it has been selected as the first smart TV data provider to MediaMath, a global technology company, that will provide the agency’s clients with exclusive audience targeting tools and custom segmentation, allowing for better integration of television and digital ad buying. Samba TV will provide MediaMath clients with custom segmentation tools that identify unique audience groups based on behavioral and purchase data, as well as enable customers to specifically target viewers of individual shows and events, as well as viewers exposed to specific TV ads, and hard to reach audiences like cord-cutters. 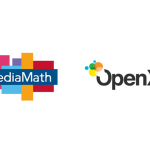 MediaMath will use programmatic data from Samba TV to retarget TV audiences across their platform. “We are excited to partner with Samba TV to seamlessly extend standard and customized TV audiences for targeting on our platform. This allows for a unique and differentiated way to reach audiences, and we are already seeing substantial demand from our clients for this offering” said Aruna Paramasivam, Head of Audience Partnerships at Mediamath. Samba TV is built directly into TVs and set-top boxes, and through its portfolio of TV platform technologies and applications, enhances the user experience with relevant programming information and other interactive features. The company also provides analytics for broadcasters and advertisers, enabling a better understanding of the rapidly evolving audience for video across television, smart phones, tablets and personal computers. Samba TV applications are currently available on more than 180 million screens in 36 countries. Samba TV is a cross-platform media and analytics company that provides a real time understanding of TV viewership – and its impact on consumer behavior and purchase – as it truly is. Embedded in millions of smart TVs, Samba TV’s technology lets consumers discover and watch the shows they love while giving brands a holistic view of content and advertising consumption across broadcast and cable TV, OTT, apps and digital. Pairing Samba TV’s second-by-second, first party, TV viewership insight with its household device map, Samba TV helps brands run TV-synchronized digital ads and confidently chart the consumer path to purchase, from online to offline, to make informed media buying decisions. Using a nationwide, census like panel that is fully representative of the U.S. population, Samba TV measures TV and digital ad exposure over time for the same household. Samba TV’s proprietary household device map totals more than 180 million devices, including smart TVs, set top boxes, smartphones and other connected devices. For more information, please visit www.samba.tv or follow @samba_tv on Twitter.